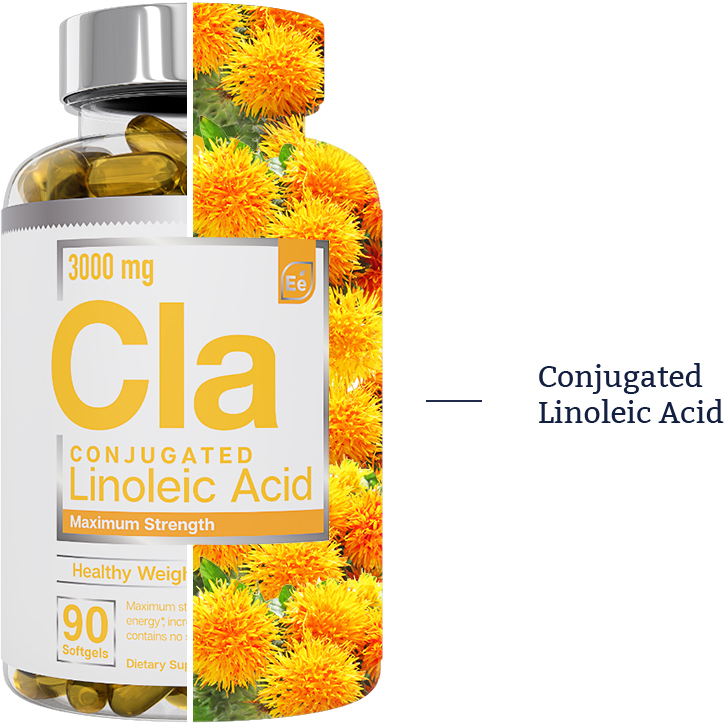 Essential Elements™ Maximum Strength CLA is composed of high-quality extracted Conjugated Linoleic Acid derived from the most premium, non-GMO safflower oil in the world. We’ve crafted an 80% concentration of the purest and most extra strength CLA formula to burn fat, aid body shaping, and speed up metabolism. 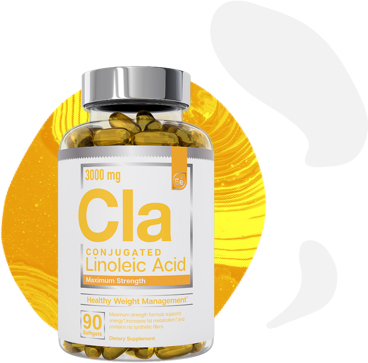 Conjugated linoleic acid (CLA) is the name given to group of chemicals found in omega-6 fatty acids called linoleic acid, which performs vital functions in the body and are necessary for optimal health and physical condition. Clinical studies have shown that this healthy fat is actually one of the best fat-burning foods available, but its quality is important. 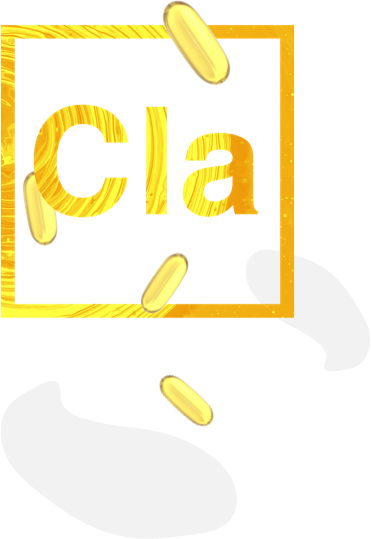 100% pure CLA is known for its bone and muscle-building benefits, improving digestion, reversing cardiovascular disease, and blocking weight gain, and even has been shown to reduce food allergies and sensitivities. Linoleic acid belongs to the omega family of fatty acids, the conjugated form of which is a combination of the different forms in which linoleic acid occurs in nature. Primarily found in grass-fed beef and raw dairy products, conjugated linoleic acid cannot be manufactured in the body, therefore supplementation is suggested. ©2019 Essential Elements. All Rights Reserved.